Brooklyn, Mich. based GreenTech Asset Systems announced early this morning that it has selected Elk Grove, Calif. as home to it newest asset recovery system. The selection of Elk Grove to be home to the newest development in the 'green technology' revolution is considered a major coup for the city. Greentech Assets Systems spokesperson Brian Shaw said the company was impressed with what they saw in Elk Grove. 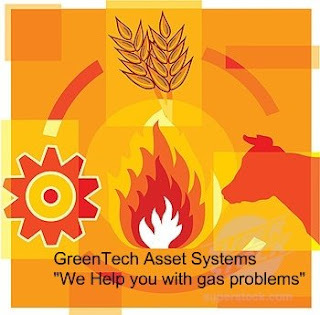 Greentech, known in industry circles as G.A.S., has been an early developer of excess real estate development methane recovery systems. Shaw said although the excessive gas run-up generated in recent years has burst, the company believes there is a strong future for G.A.S. to tap into future methane recovery projects. One project Shaw has high hopes of capturing future methane from is the now stalled Elk Grove Promenade. G.A.S said an environmental impact report is already underway and they hope to break ground quickly. Given the collapse of the real estate and finance markets, Shaw said there is a "huge, ripe talent pool available" to staff G.A.S. 's newest plant although he wouldn't give a number on how many people might be hired. "Although the local real estate gas market collapsed with the housing debacle, G.A.S foresees a strong recovery in the future development of real estate gas excess," Shaw said. "After all, there is an endless supply of gas associated with new real estate development, particularly given the city of Elk Grove's desire to increase their sphere of influence." The company, which was founded as a Slippery Rock University (Pennsylvania) lab project but later moved to Michigan to synergize with the auto industry, is also developing a system to recover and generate electricity from hot air. The company estimates the hot air generated in Elk Grove alone could supply electricity for at least 5,000 homes annually. Elk Grove's proximity to Sacramento and the amount of hot air produced there was also a factoring influencing the company's decision to locate here. "This market has huge potential for us in the near future and we intend to be there to harvest it," Shaw said. "Everywhere you look there is an excess of hot air, especially emanating from the numerous local, regional and state government offices. Our challenge is just to harness this seemingly endless supply of hot air." 1 comment to ''Cutting-Edge 'Green Tech' Firm Announces Major Facility For Elk Grove"
Yeh, Happy April Fools Day to you, too!